Chiara has extensive experience around inbound marketing covering both B2B and B2B, and is now empowering some of MediaMath’s most strategic clients to become more efficient in taking data driven decisions to better achieve their goals. Her experience on the advertiser’s side brings a customer centric perspective in both the planning and activation phase. Chiara started with destination management, helping the most exclusive venues of the charming Italian east cost in promoting their services via social media, paid search, email marketing. After this, she was a marketing consultant, working for a popular fashion brand, based in Malta, helping senior leaders to set up local e-commerce and to advertise locally using social media channels. In the same year, she moved her focus on B2B, managing the overall online marketing activity for 3DZ, leader European reseller of industrial 3D printers. Here, she mostly dealt with lead generation working closely with the sales department, integrating online and off-line activities, such as digital advertising and live events. Chiara’s passion and focus for the “display side” of online marketing began in 2016 whilst working for Casumo, an online casino with a presence in seven different markets in Europe. Chiara enabled the display team to lead some of the most strategic cross-channel’s projects such as attribution modelling and building an integrated KPI framework. Through this experience and opportunity, Chiara discovered MediaMath, and it was love at first sight! Advertising programmatically opens to the mass-customisation, it fixes the trade-of between effectiveness and reach, allowing the trader to deliver tailored digital customer journeys at a scale that was almost impossible to get just few years ago. 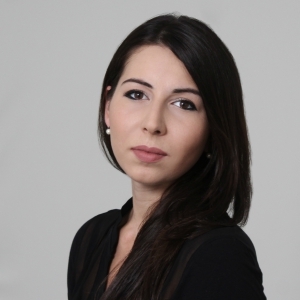 Chiara is now an online and offline MediaMath ambassador, mainly focusing on the EMEA region. She is deeply involved in the conversations happening around the most innovative solutions in the ad-tech landscape, such as DOOH and location-based strategies’ enhancement.